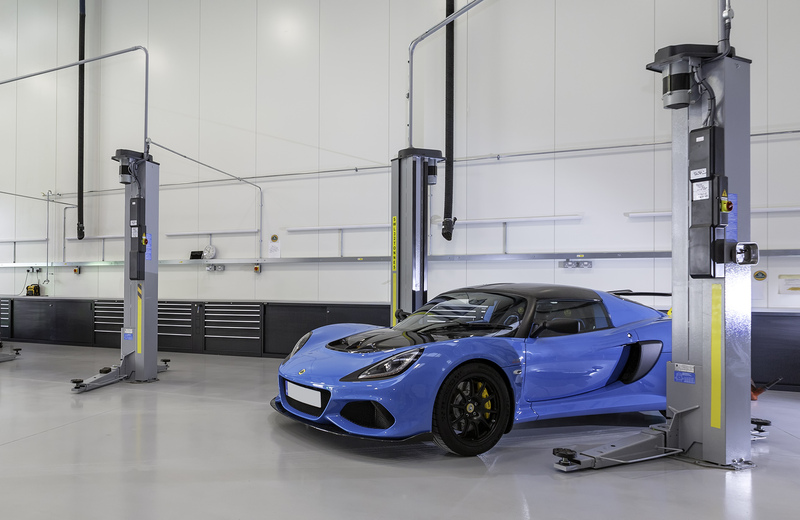 From its early days providing support for the Experience Centre at Silverstone race circuit to becoming the number two dealer for Lotus cars in Europe, accounting for good percentage of all sales of new Lotus cars in the UK alone, Lotus Silverstone has seen steady business development, which culminated in July 2018 with a relocation to a brand new 11,000 ft2 showroom, workshop, stores and administration facility on the Silverstone Park at the heart of the Silverstone Technology Cluster. 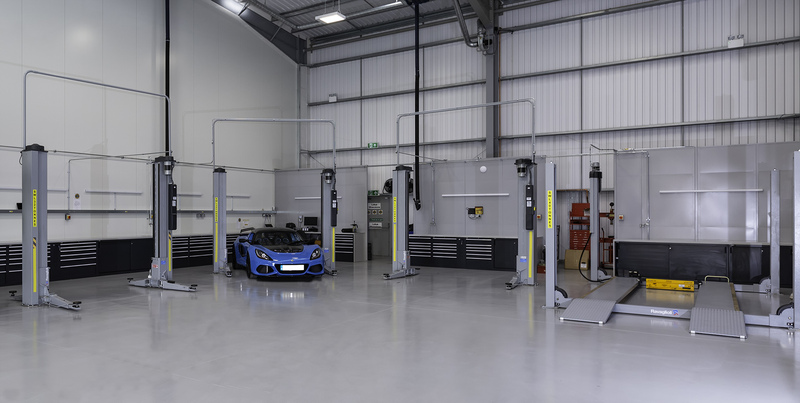 The move virtually tripled the space that it previously occupied and allowed for a ‘clean sheet’ approach to designing its workshop, where Lotus Silverstone carries out service, repair, diagnostics and restoration work on new and used Lotus cars. 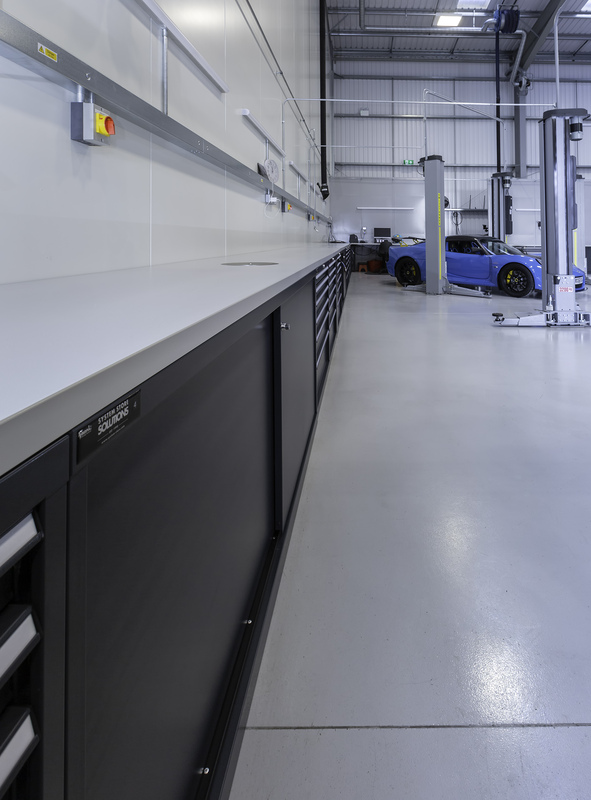 When it came to the workshop area the requirement was for efficient use of the space and present a clean operating environment for Lotus Silverstone’s technicians to work in. Tenders were requested from storage suppliers and System Store Solutions were the successful bidder, with its Fami range of storage and workbench systems. The completed storage and workbench solution include a variety of sliding door storage as well as drawer units as well as featuring integrated airlines and waste receptacles, all designed to present a clean and efficient working area. The final choice of colour for the doors and drawer fronts was arrived at after a visit to fellow System Store Solutions customer and near neighbour of Lotus Silverstone, Envision Virgin Racing Formula E Team, whose workshop had been similarly designed and installed by System Store Solutions.